Discretion is needed when it comes to taking any supplements or herbal remedies. People tend to have a false sense of security because they can buy them over the counter and administer them as much as they want in whatever combination they want. However, there have been numerous cases of people self-prescribing a vitamin/supplement and/or herbal regimen that has resulted in serious illness and death. They are still chemicals, and they do have reactions to each other and to other medications. Be absolutely sure to discuss all supplements and medications you are taking or plan to take with your doctor before doing so. Research the manufacturers and their practices to ensure safety as well. These do not come under the same strict rules as other medications and foods, and often contain toxic contaminants such as mercury and other heavy metals. In some cases, manufacturer labeling is misleading, and they are not required to differentiate between natural and synthetic sources. They are not required to list all the ingredients they claim to contain or all fillers and additives. At this time, there is very little oversight to manufacturing processes and labeling for supplements. Quality products, preferably pharmaceutical grade, from trusted manufacturers are important. Vitamins and supplements are NOT a substitute for food. You must take them with food in order to properly absorb them. High doses also do not help with absorption. In fact, it creates excess in your body which then causes cravings for food in order to balance out the excess. If it is not balanced with food, nutrients are leached from the body to do so. Anything above what your body needs and can absorb taxes your liver and kidneys, and can cause severe damage. It is always best to get your nutrients through food. Supplements should be reserved for cases like Lyme treatment where the disease depletes your nutrients or prevents absorption. Even in these cases, I would recommend requesting that your doctor do a comprehensive analysis of vitamin and nutrient levels and absorption and monitor them throughout treatment. You may not need supplementation. If you can adequately maintain vitamin and nutrient levels with proper diet, this is the best way. There are certain Vitamins, Minerals, and Nutrients that are required to maintain proper health and metabolic function. What levels are required is debated heavily. As it stands right now, the RDA (Recommended Dietary Allowance) tends to be higher than what is actually needed due to synthetic and non-bioavailable supplements and compensation for our highly processed diets. Our bodies are leached of essential nutrients to balance the intake of sugar and insulin levels as well as the lack of assimilated nutrients due to poor diet in general. I tend to believe it is better to understand the symptoms that present due to lack of nutrients along with clinical diagnosis by your doctor. In some cases, certain nutrients are not absorbed due to some underlying issue which should be addressed by your doctor. Eating a wide variety and rotated diet of whole foods high in vegetables will help ensure that you are getting the nutrients you need. Supplements can be an important part of Lyme disease treatment. Because the Lyme spirochete, Candida, and antibiotics can deplete your body of nutrients, it is important to maintain proper levels. The Lyme spirochete often targets organ tissue; supporting your organs, particularly the heart and brain, are also important. 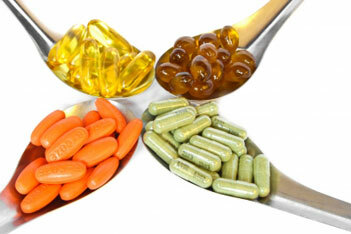 Be sure to buy quality, preferably pharmaceutical grade, supplements from trusted manufacturers. Also, make sure that they do not contain wheat, yeast, soy, dairy, sugar (in any form) or any other allergens. Research all of the ingredients and make sure there are no fillers or additives that are not needed or could potentially cause harm or reactions. The following is a basic list of supplements that I used and tend to be required during Lyme treatment. I have not included the multitude of specific symptom supplements here, just the basic ones. For more details on these and others, please see Dr. Burrascano’s Treatment Guidelines. Discuss any and all supplements with your treating physician prior to use, as some interact with antibiotics and other prescription drugs you may be taking. Probiotics are a must. If you take nothing else, take these. These replace the good bacteria while antibiotics kill both the good and the bad. For more information, see the Probiotics and Candida & Lyme pages. A good Multi-Vitamin is always a good idea while battling disease. This will help with a broad range of essential nutrients that may be lacking and contributing to the illness. CoQ10 is a vitamin-like substance that exists in all cells especially those in energy producing organs such as the heart and liver. It plays a part in cellular respiration and converting food into energy. It is believed to help with heart function, stamina and energy levels, periodontal disease, migraines and immune function. Check with your doctor. Some antibiotics can not be taken with this supplement. Alpha Lipoic Acid is an antioxidant found in every cell and helps turn glucose into energy. It also facilitates absorption of CoQ10 by helping it enter into the mitochondria. B Vitamins (complex) play a role in metabolism, immune and nervous system function, and cell growth. These tend to have allergens such as wheat and yeast, so be sure the manufacturer you choose does not contain these. Magnesium assists in Calcium absorption. It helps deficient symptoms such as tremors, twitching, cramps, muscle soreness, heart skips, weakness, and overall energy levels. Niche Pharmaceuticals Mag-Tab SR (this is the best around). Essential Fatty Acids cannot be manufactured by the human body and can only be found through food (see the Fatty Acids page). They play an important role in balancing good and bad cholesterols, protecting the heart and cell membranes, development of the brain, eyes, and reproductive system. They also help to prevent cancer, build the immune system, and have an anti-inflammatory effect which helps with arthritis, asthma, digestive disorders, and skin conditions. Immune support is important due to the stress that is put on it during treatment. Adding the Candida factor into it from being on antibiotics, it is doubly important to give added support. Without a strong immune system, successful treatment is difficult if not impossible. NT Factor is a critical supplement for Lyme patients. It can help to improve immune function, metabolic function, treatment efficacy, and the overall quality of life and health. To learn more about this specifically, please see the Integrative Treatments Page. Coconut Oil is a wonderful addition to anyone’s diet. It has many health benefits despite rumors that it is bad for you. Coconut Oil is a saturated fat that is easily digested by the human body and does not build up. It helps to raise good cholesterol, and lower bad cholesterol. It also has anti-fungal properties which help in keeping Candida under control. 2 TBSP a day keeps Candida away! You can either cook with it, or take supplements. I prefer the supplements, although I do cook with it often, too. I still take this. If you do buy it to cook with, make sure that it is not processed or hydrogenated. It should be Organic. To learn more about the benefits of Coconut Oil, please see the Substitutes page. Nutritional Supplements are NOT a replacement for Food.